1.. Prepare your fire, we used two cement blocks to hold up the pan and wood underneath before lighting the fire. Like all other nuts, chestnuts can help to prevent heart diseases and conditions and provide energy, along with being very low in cholesterol. They are basically just as important to include in your diet as other grains. Preventing the common cold and enhancing fertility in men are some of the other health benefits, which are attributed to the presence of vitamin C in chestnuts. 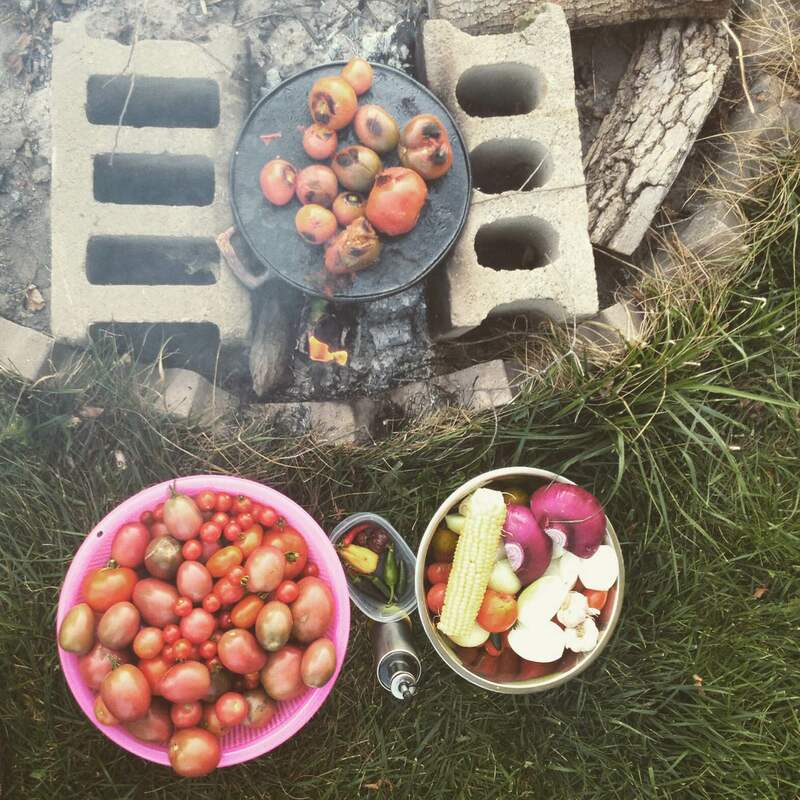 The experience of cooking over the fire is an opportunity to connect with your food and environment. It gives you a hands on experience creating something that’s not only satisfying for the soul but also the palette. 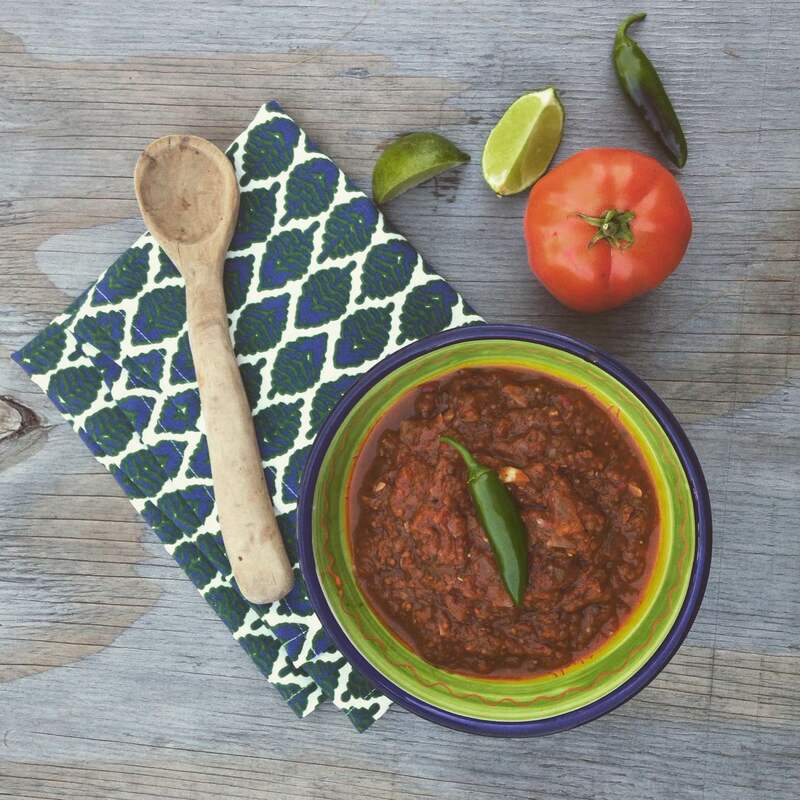 This Fire Roasted Salsa has rich smoky flavours that are only achieved while roasting your vegetable over the fire. This traditional recipe is quite free and I encourage you to explore different vegetables in the process, new types of tomatoes and hot peppers will create new flavours. 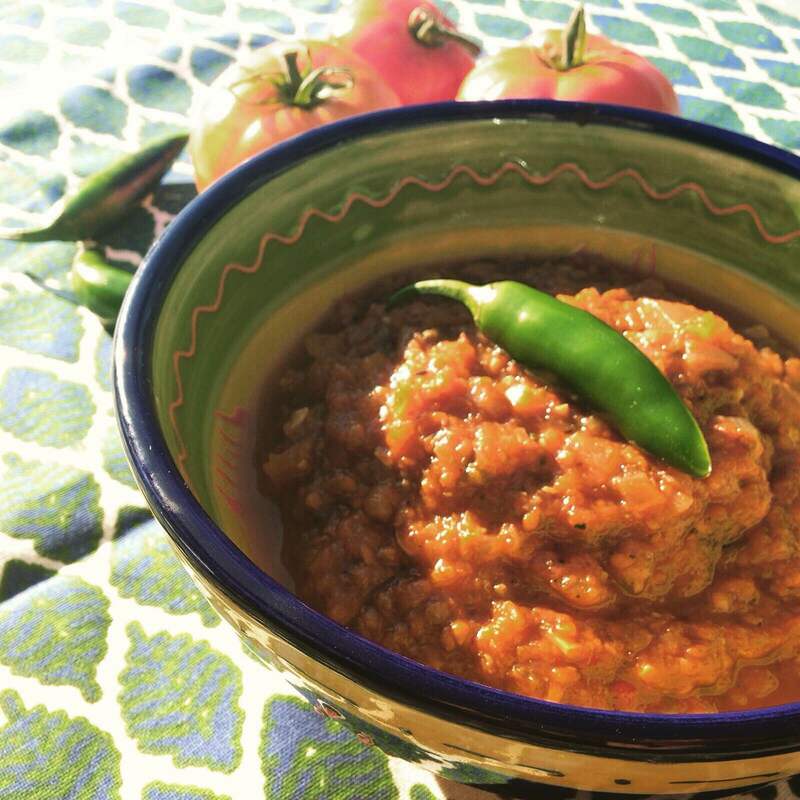 Here are the basic steps to this delicious homemade salsa. 1. Lightly wash and dry your vegetables. 2. Prepare your fire, we used two cement blocks to hold up the pan and situated the wood underneath before lighting the fire. 3. Lightly oil your pan(must be able to resist high heat). 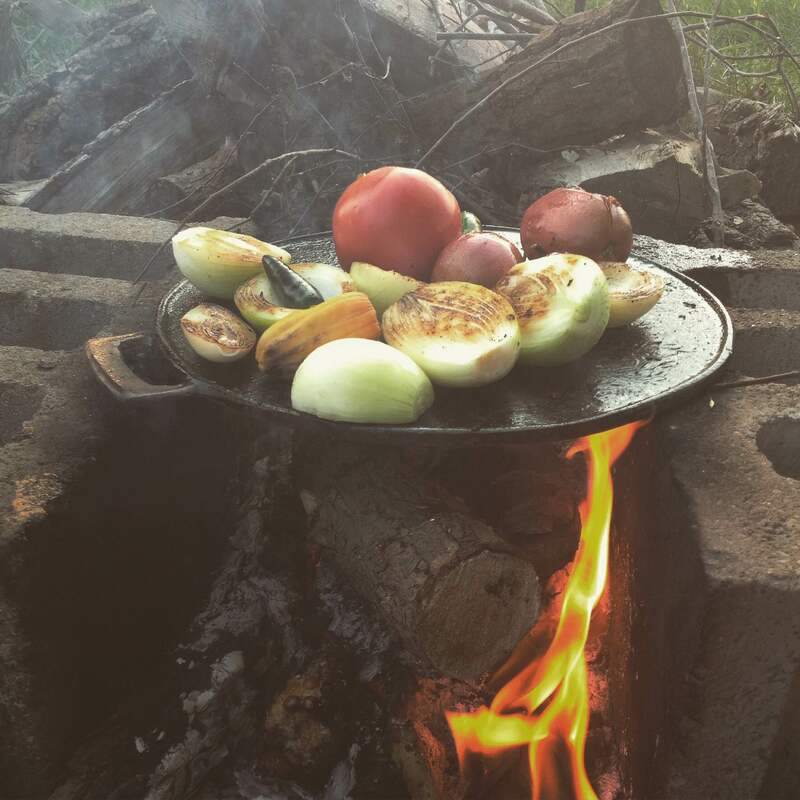 We used a budare a traditional Venezuelan iron pan. 4. Place your tomatoes(whole), onions(cut in half), garlic with peal(whole) and peppers(whole) on the pan. 5. Lightly turn the vegetables to evenly grill them, if you are going to keep the peels on your vegetables then make sure not to burn them otherwise those burnt pieces will show up in your salsa later. 6.Once the vegetables are evenly grilled remove them using a long pair of tongs and place them in a separate bowl. 7. Once all of your vegetables are cooked finely chop your jalapenos and garlic. 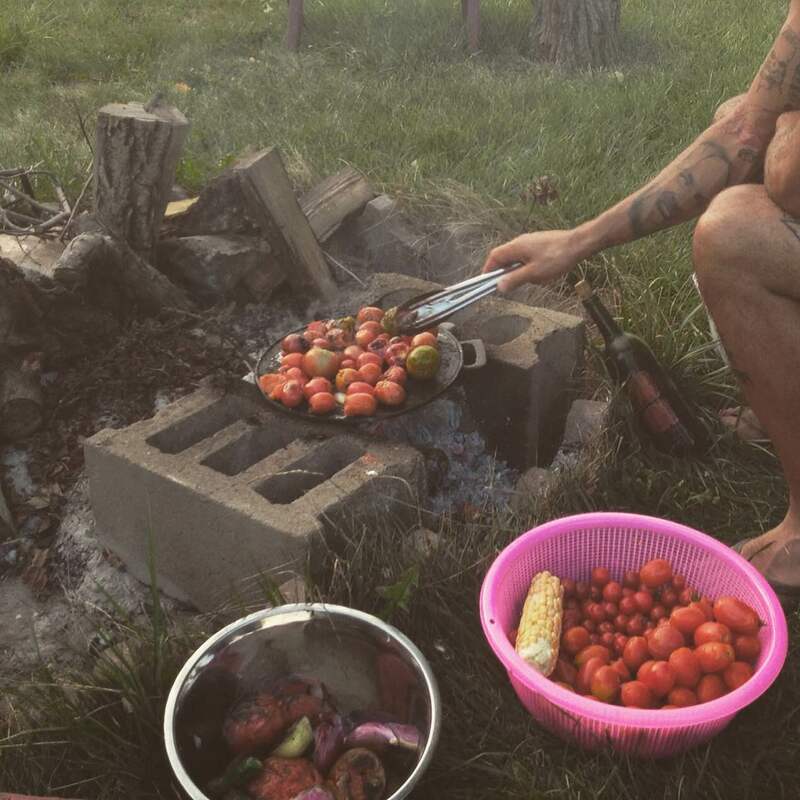 Remove peals and dice your onions and tomatoes(if you like chunkier salsa then dice them larger) then place all your ingredients into a large pot and place on the stove or over fire in a heat resistant pot. 8. Once the mixture is at a consistency you like add your extra ingredients for taste like finely chopped cilantro, salt, pepper, lime juice and sugar. Often the salsa will already have a sweet flavour and wont necessarily need the sugar. 9. Allow your salsa to cool and transfer into a sealed jar or container to store in the refrigerator. You may also can your salsa if you make a large batch. Enjoy with corn chips, with tortillas, rice or on scrambled eggs….or basically anything because it’s just that delicious. We lovvveeee spicy, from actively seeking out farmers markets and grocery stores to raid their hot sauce collections, cooking up our own sriracha recipes, visiting every Indian restaurant possible and growing an assortment of hot peppers in both Canada and Venezuela this DIY Guide is one dear to our hearts….and appetites. 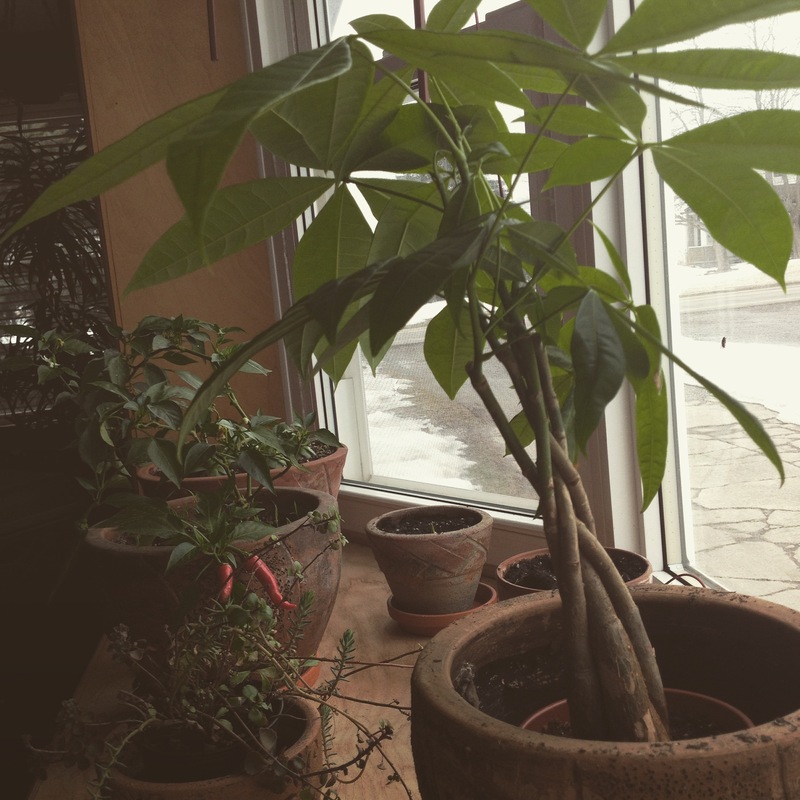 We originally received organic Ring of Fire(Cayenne Peppers) seeds from a family member many years ago and began planting them in our windowsill in Venezuela before obtaining a small piece of farm land there. These seeds have always gave us a great yield and even withstood winter inside our new home in Canada. We originally began drying & persevering the peppers in Venezuela as our crop continued to grow. The steps for drying and making your own chili flakes are simple and similar to our post on Air Drying Herbs. The reason we choose to air dry as oppose to using a dehumidifier or using an oven is personal and it goes back to the roots of drying foods. This way has long been used and effective without using any outside energy and just solely relying on mother nature. Air drying allows you to observe the transformation and drying process, to be patient and to let things happen naturally. 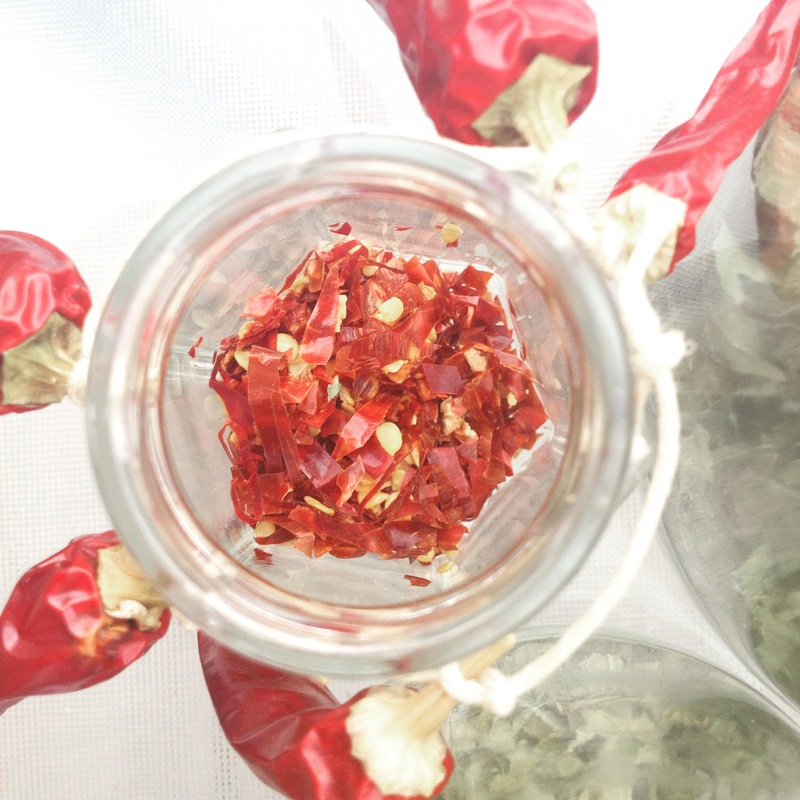 Now here are our simple steps to drying and making your own Chili Flakes. Homegrown chilies are best, but you can also use chilies from a farmers market or store if you prefer or it is more convenient. Choose chilies that are fully ripened some people choose to mix their peppers using both hot and mild, we always just use the Cayenne peppers. 3. String your pepper, for this you can use a needle and thread and gently tie a knot between each pepper or use some twine and tie a knot around each stem connecting them as you go along. 5. Once they are fully dried you can remove them from the string and remove any stems. Using gloves you can hand use a pair of scissors to create small flakes or use a blender to crush them but not turn them to powder.